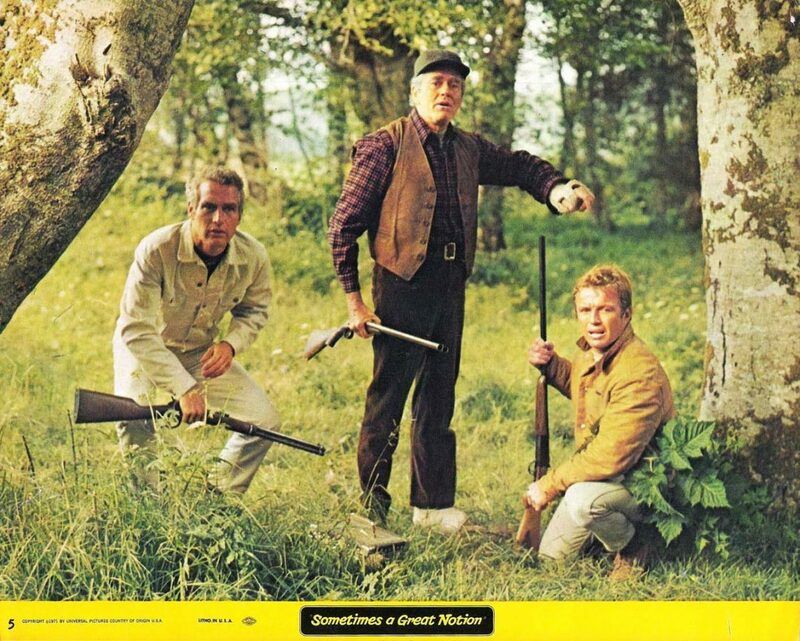 Paul Newman’s Sometimes a Great Notion opens with pine trees and the roaring ocean and with Charley Pride singing over the wet, green Pacific Northwest prettiness and it’s so gorgeous that you can practically touch and smell a time and a place, almost now past. It could be a typical establishing moment – here we are in the fictional Wakonda, Oregon where our characters, loggers, reside. This is what it looks like, viewers. But it’s not that simple. The opening begins in a setting so lyrical, lovely, scary and important to the story, to who these people are, and what affects their lives, that it’s fundamental, it’s their lifeblood. But the beauty’s not so simple – there’s the dampness, the rugged terrain, all that rain, the danger, the expanse and the isolation – this is an environment that has merged with the bodies of these characters and what they do – they are so intimately connected to the trees, that they climb them and cling to them and they cut them down. And sometimes the trees can kill them. The film was shot in Lincoln County, Oregon and around the Oregon Coast – Kernville, Newport, Yaquina Bay, the Yaquina River – and Newman (with cinematographer Richard Moore) makes this green-gorgeous, stunningly imposing, feral landscape central, deeply embedded in the character’s bones. Wrapping the PNW around this family (the Stampers, led by Henry Fonda’s cantankerous Henry and Newman’s Hank, a goddamn-you-all independent logging clan with their own company, devoid of unions and who work during a strike…), Newman takes his time with scenes showing early morning boat rides, ocean touch football turned to fistfights, rain-soaked discussions on sturdy porches built for the dampness and logging. Newman really digs into the logging sequences, the very specific and tough labor of logging, and they’re spectacular, visceral – these long sequences of working speak more powerfully than dialogue ever could. 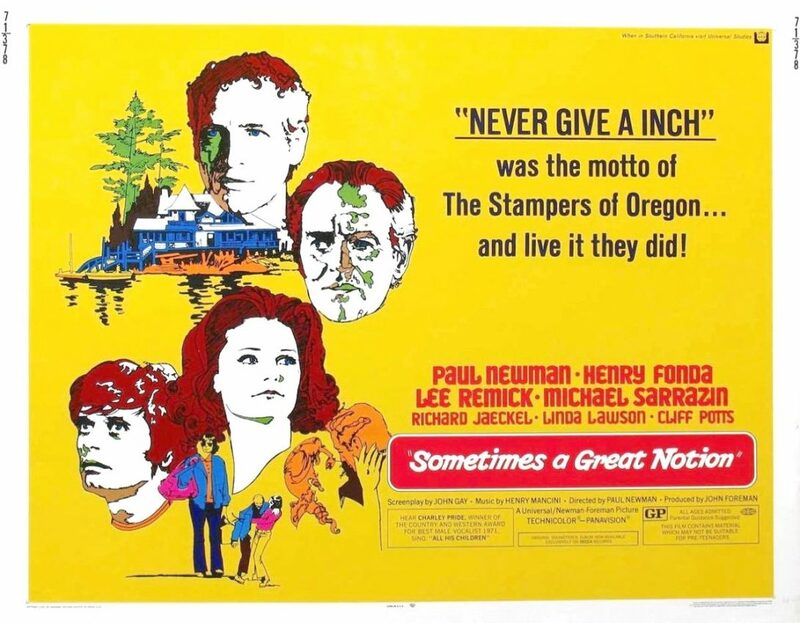 Adapting this story from Ken Kesey’s monumental, experimental and brilliant novel (not discussed enough these days, much like Newman’s movie), screenwriter John Gay must have felt the pressure of Kesey’s prose – one wonders if he felt it could crush him, like attempting to adapt Faulkner. The opening of the novel makes the reader tremble – it’s so vivid that it almost (almost) veers into the purple, but it never falls over that edge. It’s so cinematic and so poetic that it would make a cameraman jealous – how to compete with this? “Along the western slopes of the Oregon Coastal Range . . . come look: the hysterical crashing of tributaries as they merge into the Wakonda Auga River . . .
“The first little washes flashing like thick rushing winds through sheep sorrel and clover, ghost fern and nettle, sheering, cutting . . . forming branches. Then, through bear-berry and salmonberry, blueberry and blackberry, the branches crashing into creeks, into streams. Finally, in the foothills, through tamarack and sugar pine, shittim bark and silver spruce—and the green and blue mosaic of Douglas fir—the actual river falls five hundred feet . . . and look: opens out upon the fields. In his excellent introduction to a newer edition of the novel, Charles Bowden wrote of Kesey’s opening: “That opening hit my head in the growing darkness around six p.m. When the sun came up the next morning, I was still in the chair and stayed there until sometime later that day when I finished the book. In between there was a lot of music, some cheap wine, then black coffee. After I devoured the final pages, a kind of silence descended because my friend was dead wrong – it wasn’t a union novel. When I heard what other folks said about it –often bad – I just shook my head and stayed mute.” He’s right – it’s not simply a union story and neither is the movie. Both Newman and Gay understand the messiness and complexity of these very Oregonian individualists, in all of their pride and dysfunction vs. the strikers up against a lumber conglomerate, but they study the family within it. Newman works so beautifully with his actors and the land, their movement and their work within it, that these people reveal bits and pieces about themselves in both large moments (Hank cutting a desk in half with a chainsaw) and deceptively small ones (Viv, hanging the laundry and talking about how she met Hank, enjoying a memory, while feeling resigned and powerless). There’s a lot of love for this family while showing how damaged they all are. But most families are damaged – it’s as natural as those pine trees. And this family feels both real and mythic – as I re-watched the picture, I recalled the lore that haunts the movie and the characters, but also the lore that haunts many people in Oregon (and of course, viewers worldwide who saw it). There’s a magnificent, extended scene involving Newman and Jaeckel that is so devastating, so painful and so poignant, that I know certain people who never want to see it again. 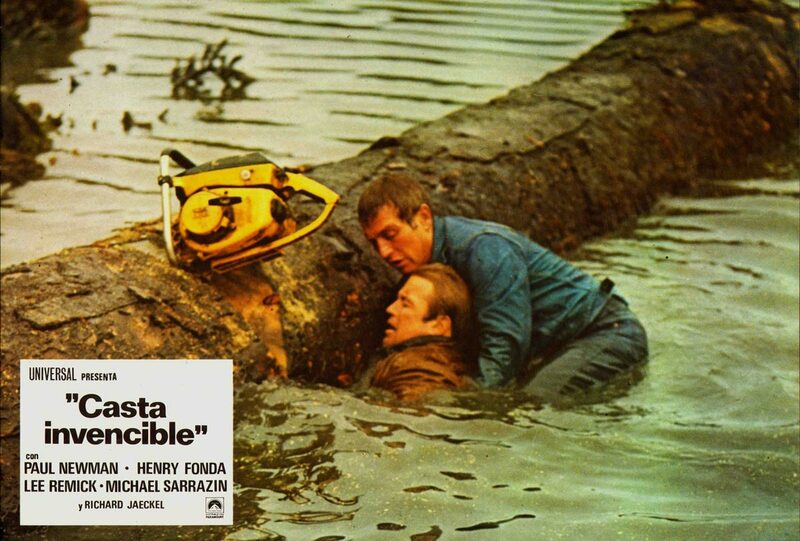 Jaeckel’s Joe Ben is trapped in the water from a tree trunk Hank has sawed – the thing had split and fallen on Henry’s arm, but then it rolls into the water, pinning sweet Joe. These things happen, maybe he’ll live and Joe Ben’s attempt to remain cool, even funny, destroys me. I’m not being hyperbolic when I say that it’s one of the saddest, scariest and most moving deaths I’ve ever seen in movies. I grew up in Washington and Oregon and my grandfather was a logger for a time (before he went to prison) and I occasionally think of him up in those trees, wondering if he felt trapped or free, and if logging was, in fact, more dangerous than prison. I also think of my best friend’s father who had to fell timber every year so his family could survive the winter. His dad loved the film, and when my friend was a little boy, he’d tell him about this scene with Hank and Joe Ben, describe it in detail. 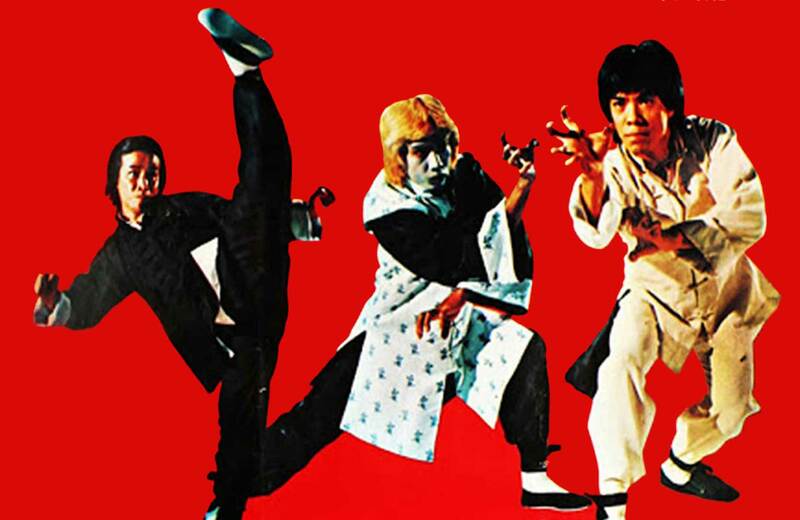 My friend remembers this moment as a source of oral tradition, not as a movie – and he can see it all in his mind – as if it really happened. And he’s still never even seen the film – he avoids it – not because he doesn’t think he’d like it, but because it’s a childhood memory that’s tangled up with all kinds of father-son drama and emotion. It makes him worried and haunted. It’s still too visceral. In his mind.